Autumn issue of Small Magazine in already available online. For me, this is very special issue of Small Magazine as it this issue there is little part about my illustration and me. I'm very happy to be presented in this magazine. 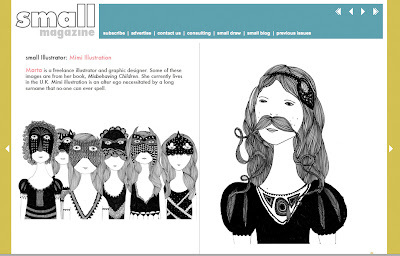 Autumn issue is also featuring another great illustrator - Anna Emilia Laitinen and photographer Maggie Taylor.